When you work with Blue Way Developers, you get more than just a space for your business. You get a team of professionals dedicated to exceeding your expectations. Over our 16-year history, we have established a reputation for fair and honest business practices that grow relationships into long-term partnerships. We take the time to understand your business. We listen, design, build & lease commercial environments that meet your company’s needs & goals. Unlike most developers today, we also manage all of our properties so that your business continues to receive the high level of service it deserves. We work hard to make you happy and comfortable, and our knowledgeable staff is ready to respond to your needs and challenges. 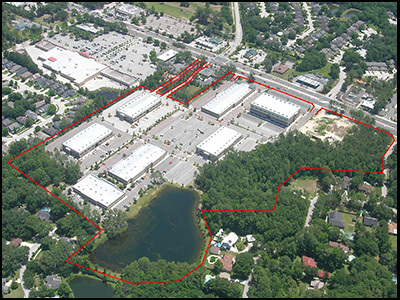 Blue Way Developers has an extensive selection of Class A office and retail space, and office/retail Condominium space that is in a “shell” condition ready to create your new HOME with our onsite planning and “turn-key” construction. We also have a variety of available built-out space that may fit your needs or that can be analyzed and modified to create a home for your business. 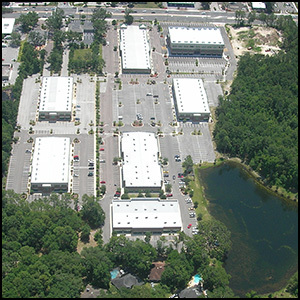 We’ve been developing in the North Florida market for more than 16 years and have extensive expertise in design, construction and property management. We’re a quality build and our properties offer customers the most advanced and efficient features available. In our view, an interior space is more than a place where you do business, its a reflection of your business itself, its culture and its values. It’s our job to best capture the essence of your business in developing your interior space. Because interior construction has its own unique challenges, Blue Way has a team dedicated to these projects. We understand that quick turn-arounds calls for a team of professionals that is in constant contact with customers. Furthermore, it’s our job to the project moving at a brisk pace while complying with the highest standard for professionalism in these spaces. Our interior construction portfolio includes offices, legal offices, all types of medical offices, call centers, gyms, data centers, showrooms, restaurants, salons and much more. We know how to fit the needs of all business models.